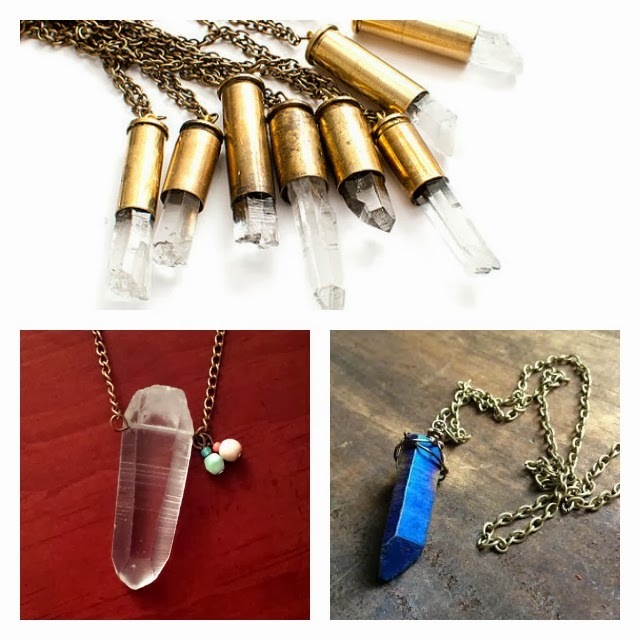 Let me share a secret with you: I am madly in love with crystal necklaces for a long time now. 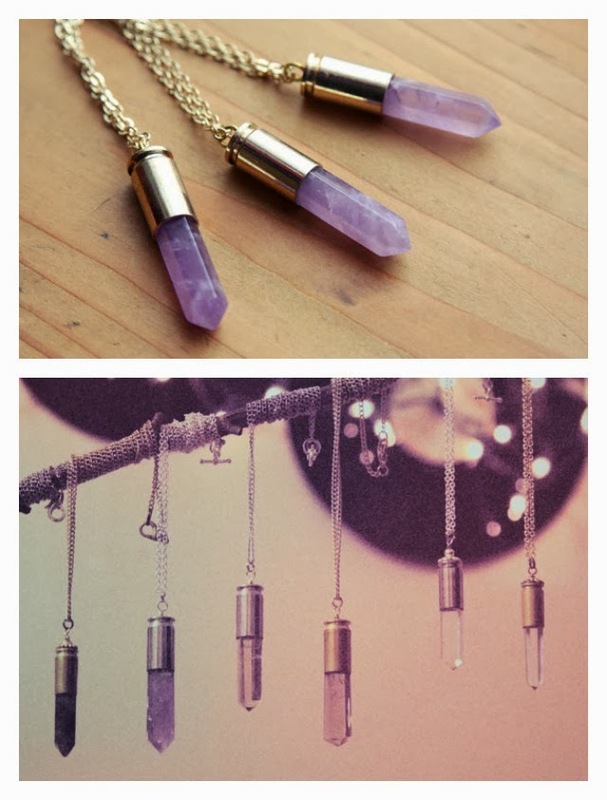 I once upon a time stumbled over the German Etsy shop of Wolfmade who just makes these amazing crystal bullet necklaces I had never seen before. I fell deeply in love and ordered my very own crystal and received it just one week later - and I've worn it ever since. I so do love some special jewelry that accompanies for a certain period of time. I dn't know about you, but I am just a liiiiitle bit superstitious (really, just a little bit) and I love the thought of a crystal dangling from my neck protecting me. I have seen quite a lot of these necklaces in stores but they are mostly made out of glass or plastic - I personally prefer the real deal made out of Rose Quartz or other crystals. The one I own looks a bit like in the right picture only that my crystal is purple. I would really love for a clear companion to join me! As for my German readers I really recommend Wolfmade - I contacted the seller and he made a custom order just for me without extra price if you are looking for a certain shape or color, he's definitely your man! Just a quick post today because I have to make preps for my presentation (FINAL ONE!) and exams aaand university until 8PM now (and groceries after that..)! 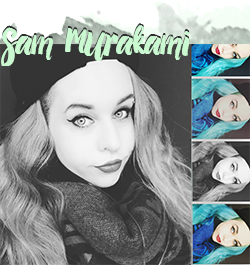 And thank you so much for your positive feedback on my last post! :3 I will definitely make more outfit posts happen, I swear.